LaScola's Italian Ice and Custard is Pittsburgh's favorite Italian dessert maker. Plus, it's only a short walk or drive from you! LaScola's always serves locally made, high quality frozen desserts you and your family will love. Stop by and say hello! We are currently closed for the season. We look forward to seeing you in the spring! Handcrafted combinations of high quality flavors and syrups. Our ice is blended until smooth. Eggs, milk, sugar and more... as smooth and as tasty as it gets. LaScola originals and a few experiments that we love sharing with you. Top your custard off with an ice flavor of your choice. Our famous Italian ice twisted with custard. This is a LaScola's signature product. Flavors change weekly, so ask us what we are twisting today. Custard is always better with a satisfying crunch. Choose a cookie, choose a custard and let your life be changed. Our famous Pizzelle custard sandwich - fantastico! Whatever you call it, we make it! Fill yours with your favorite custard! Chocolate or vanilla custard nestled inside a delicious little tube - we'll have you saying "Holy Cannoli"
Unique coffee blends sourced by western PA local Commonplace Coffee and refreshing lemonade you can only get at LaScola's. A sweet and balanced blend roasted by our friends at Commonplace Coffee Company and available only from your friends at LaScola's. Our home roast cold brewed for 12 hours and handed to you in seconds. Our cold brew coffee served over the LaScola custard of your choice. Sounds too good to be true, and it tastes that way too. Homemade and handcrafted, our Basil Lemonade is sweet, tangy, and completely refreshing. 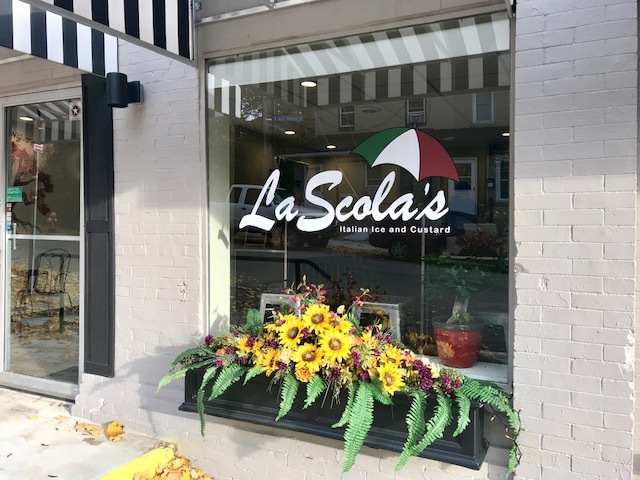 LaScola's Italian Ice and Custard is a labor of love and family, and it's been this way since the very beginning. I never thought we'd have our own store and such incredible customers, but I'm incredibly grateful and humbled to say we do. 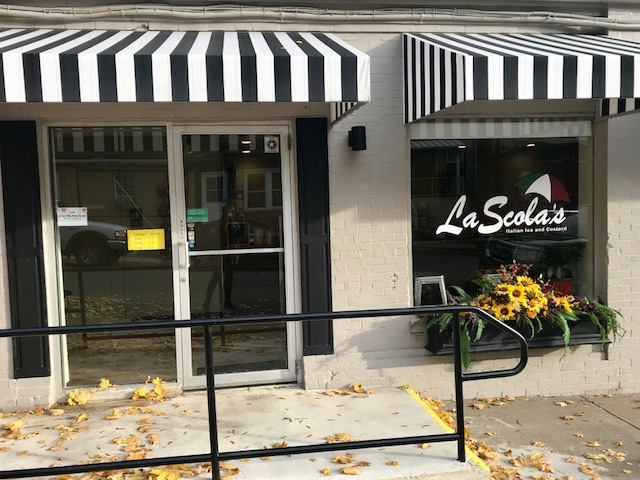 The entire LaScola family invites you to stop by our first store front location in the beautiful Highland Park neighborhood of Pittsburgh, or come see us at the many Pittsburgh events we've served for the last ten years. Thank you for the support and we can't wait to make you a part of the family. Have something to say? Or maybe you have an event or special occasion that could use a little LaScola's lovin'? Send us a message and we'll be happy to get back to you. We do custom orders and personal events all the time.